Following my joining the board of Elate Partners, www.elateinvest.com – a Chinese investment group backed by large institutional, strategic and wealthy individual investors from China – a lot of you have been asking me about the kind of deals Elate would be interested to invest in in partnership with Blackhawk. This entry was posted in Financial, Politics on March 1, 2016 by Ziad K Abdelnour. 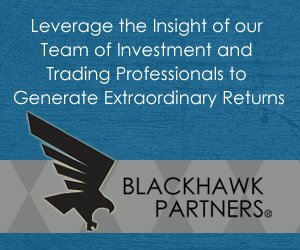 DALLAS, Dec. 3, 2015 /PRNewswire/ — Elate Partners, with offices in Beijing, Shanghai and Shenzhen, China; in conjunction with its sister company, PA Asset Advisors in Dallas, Texas; is pleased to announce that Ziad K Abdelnour, President & CEO of Blackhawk Partners, New York, NY, has agreed to serve as a board member at Elate Partners. Mr. Abdelnour is very connected in Wall Street financial circles, has a wide network in American politics, and will help guide Elate’s Asset Monetization business. The partnership will focus on the interests of Blackhawk’s clients, from oil, gas, mines and specialty real-estate, to technology-based alternative energy, high-end equipment manufacturing, medical and biotechnology, modern agriculture, and aerospace. This entry was posted in Financial, Politics on December 4, 2015 by Ziad K Abdelnour. The two worst things our government can do to someone are to conscript him for military service and deprive him of his liberty. Losing or being threatened with loss of liberty is an ordeal increasingly suffered by average, law-abiding Americans. We have become a nation of “No,” of the ever-present threat of criminal prosecution — even, perversely enough, in an era of “yes” and permissiveness on someone else’s dime. The routine trip to the doctor’s office comes with the warning that “false statements” on the insurance form can result in prosecution. This entry was posted in Financial, Politics on September 3, 2015 by Ziad K Abdelnour. As you all know, most deals fall apart because companies CEOs/owners (and/or the investors already in the “deal”) are not realistic when placing a value on their respective companies. When there’s a valuation difference between what a buyer thinks a business is worth and what the seller expects to profit, an earn-out can bridge that gap. Here’s a few pointers on how to make a deal that’s good for both parties. What’s the value of your business? That depends on whom you ask. Ask potential buyers, especially when they’re being cautious in tough economic times, and it might not meet your expectations. Negotiating a sale of a privately-held business is never a breeze – and it’s much less so in a down market in which there is little competition among buyers to drive up the multiple. When a seller’s expectations aren’t being met by potential buyers, including an earn-out provision in the acquisition contract can help narrow the price-expectation divide. This entry was posted in Blog, Financial, Politics on August 31, 2015 by Ziad K Abdelnour. Is the federal government trying to subvert American capitalism by pushing for extraterritorial application of American criminal law as a way to induce the flight of capital, and the capital classes, from the United States? Is this theory so radical? Little else explains why federal government lawyers are making certain arguments to defend the fraud convictions of two Wall Street financiers – Ross Mandell and Adam Harrington of Sky Capital — against their appeal. Our government now argues that “criminal statutes have extraterritorial reach so long as the nature of the crime does not turn on where the defendant acts and were restricting the statute to domestic acts would undermine the statute’s purpose.” Appellate Brief For The United States of America, Mandell v. U.S., Docket Nos. 12-1967 and 12-2090, at 34 (emphasis added). You read that right; where the crime occurs is irrelevant, because if our federal government declares the “purpose” of an American law reaches beyond our borders, you can be prosecuted for something you are accused of doing abroad, even if that act is not a crime offshore! Unless American courts reaffirm a recent Supreme Court decision, our Justice Department can stretch the reach of America’s metastasizing criminal law and equally byzantine civil law anywhere on the planet. Extraterrestrials, beware. This entry was posted in Blog, Financial, Politics on August 28, 2015 by Ziad K Abdelnour. There has been much fuss lately as to the huge impact a deal with Iran will have on oil prices globally. I personally see the near-term impact on oil markets likely to be far less significant than most oil analysts predict, despite Iran’s large natural gas and oil reserves. The bottom line is that a deal with Iran would likely add only about 500,000 barrels/day to the 90-million-barrel daily oil market over the next 12 months. This would be a non-trivial amount, but clearly not a “game changer”. The baseline is for prices to return to about $70 for a barrel of Brent Crude in 2016. Additional supply from Iran would knock roughly $5/barrel off expectations – or less than one-quarter of a standard deviation. Said another way, additional Iranian output could move prices lower, but many other factors, such as changes in global GDP or the return of Libyan oil, could prove more meaningful over the next year. What’s more, recent trading suggests the market has already priced in much of this risk. Over the longer term, I believe an increase in Iranian output could be for sure significant. With investment and time, Iran could meet a greater share of global demand for oil and liquefied natural gas (LNG). It also could ship natural gas to Europe via pipeline, challenging Russia’s dominance. The details of the contracts Iran signs with international oil companies will be telling. Depending on the terms offered to Western companies, other oil producing nations – Iraq, in particular – could feel the pressure. Increased competition for investment would be a material signal that lower prices will endure longer. I still though believe that the key factor in the global geopolitical game of oil will be China, not Iran. China is today the second largest importer of oil in the world and its appetite for oil is all but insatiable, growing at 8 percent a year. They decided to go with cars instead of sticking with mass transit. Plus, factories that produce cars can easily be converted to military needs. I believe within twenty years they’ll have more cars than the U.S. and that same year they’ll be importing just as much oil as we do. So here’s the deal. They don’t have it. Want to guess where they get it from? Iran. They signed a deal saying if Iran would give them lots of oil, China in return would block any American effort to get the United Nations Security Council to do anything significant about its nuclear program. They’ve been doing a lot of deals with each other ever since. Oh yeah, these two countries are very cozy indeed. Anyway, China gets most of its oil from Iran. And they don’t just need oil—they need “cheap oil” because they sell the least expensive gasoline in the world. I think that’s to keep everybody happy driving all those new cars. Bottom Line: Iran’s agreement with major world powers to curtail its nuclear program in exchange for the lifting of economic sanctions opens up the world’s fourth-largest oil reserves, second-largest natural gas reserves and an 80 million population to multinationals. But the strict, decades-old U.S. restrictions on doing business with Tehran, which predate the nuclear crisis and relate to other concerns such as terrorism support and human rights abuses, will remain in place. What will be particularly difficult for American companies is if they are the only ones that are prohibited whereas the rest of the world will be trading? Problematic because every time you’re at a disadvantage relative to your foreign counterparts, you lose market share. This entry was posted in Financial, Politics on August 17, 2015 by Ziad K Abdelnour. Reading on a regular basis the Wall Street Journal on hedge fund managers, two themes emerge: They hate fame and they like to be feared. That is not uncommon on Wall Street, where it’s better to be hated and rich than loved and famous. That is, unfortunately, the hierarchy in the finance culture today: the more important you are, the less you need to be liked, and the less you need to be seen. At the very top of the Wall Street pyramid are the billionaire hedge-fund managers, masters of the markets who are famous for not wanting fame. Their ability and desire to stay under the radar of the public is a signal of how really important they are. They flee from cameras, flee from being interviewed. Unflattering news, unflattering photos, are either bought with money or buried via legal action. The distaste of fame often morphs into outright secrecy, especially amongst the hedge-fund set. This entry was posted in Financial, Politics and tagged egomaniac, hedge fund managers, investment advice, Money, Wall Street Journal on August 14, 2015 by Ziad K Abdelnour. What’s it like to be a Billionaire? This entry was posted in Blog, Financial, Politics and tagged What’s it like to be a Billionaire on August 13, 2015 by Ziad K Abdelnour. While you may think that being smart, motivated, and talented would logically make you wealthy, unfortunately, this is often not the case. Smart and talented people often have a flair for the unusual, complicated, or different. They don’t like to follow the KISS principle (keep it simple, stupid), which is required to make money. So, being smart or talented isn’t going to help you unless you can use those smarts to figure out a way to simplify those tasks that will make you money. This isn’t easy, because it goes against everything that you have ever done and is counter to how you were taught to think. However, it is necessary for a business to succeed and why smarts and talent alone don’t predict entrepreneurial success and hence wealth creation. This entry was posted in Blog, Financial, Politics on August 12, 2015 by Ziad K Abdelnour. Over the past decade, growth in emerging markets has, in fact, outpaced growth in developed markets by more than double. Growth in the gross domestic product (GDP) looks like it will continue to outperform that of developed markets for at least the next five years, according to estimates by the International Monetary Fund. We are often asked why economic growth and stock market performance don’t always directly correlate in a given year, and if that’s the case, does a nation’s GDP growth matter at all when it comes to investing in companies? While it’s true that growth and stock market performance can be divergent at times, there is no question that growth matters since company earnings depend on general economic growth. This entry was posted in Blog, Financial, Politics on August 11, 2015 by Ziad K Abdelnour.